The story of the 1916 Rising in Dublin is told in two new multi-touch books Scéal 1916 & The Story of 1916 produced as part of the Ireland 2016 Centenary Programme. 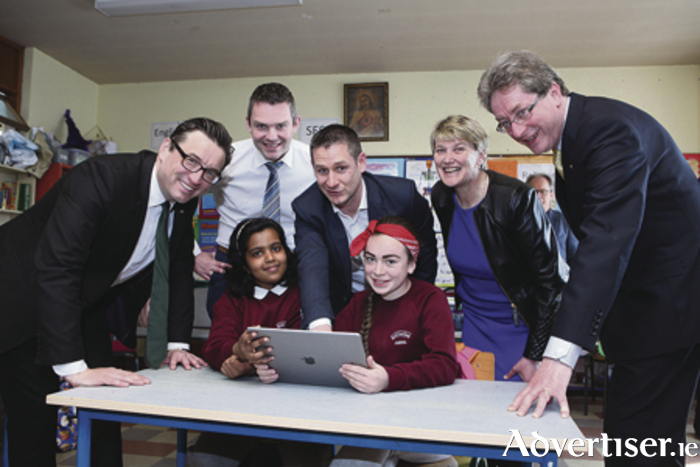 They are packed with videos, interactivity and multimedia to engage readers with an authentic learning experience, which brings this period of Irish history to life.The iBooks were launched last week at Scoil Chroí Íosa in Galway city. The publications were produced by Seán Ó Grádaigh, Lecturer in Education at NUI Galway, in collaboration with partners, Century Ireland, Boston College, National Library of Ireland, COGG and the School of Education at NUI Galway.